How to Become More Productive with the Pomodoro Technique? You may have already heard about the Pomodoro Technique before and how it has improved people’s productivity. The Pomodoro Technique is a time management technique developed by Francis Cirillo in the late 1980’s. The principle of this technique is simple: you work on a task for a specified amount of time and when that time is up you get to take a break. How to Do The Pomodoro Technique? You don’t really need a lot of tools for this technique, all you’re going to need is a timer. It can be a kitchen timer or the alarm/timer. STEP 2: WORK ON THAT TASK FOR 25-MINUTES. For this step, focus on the task you wish to finish whether it is responding to emails or reading a chapter of a Physiology book. Make sure that you stay away from distractions during this time. Also, don’t multi-task. Just focus on one specific task for the entire 25 minutes. STEP 3: WHEN THE ALARM/TIMER GOES OFF, TAKE A 5 MINUTE BREAK. It doesn’t matter what you wish to do for this break time but spend your break time wisely. The purpose of this break time is well… to catch a break. Stop thinking about the tasks you need to do and relax your mind. Do whatever it is that will make you mind feel like brand new. You can watch youtube videos, read blog posts, read a fictional book or take a snack. STEP 4: REPEAT STEPS 1-3. Now that your brain had it’s rest, you’re now ready for another 25-minutes of work. You will be less distracted and more focused. Now that you’ve become productive, you deserve a longer break. Do whatever you want in this allotted time but I hope you’ll get rested enough for work after the time is up! Why does Pomodoro Technique Work For Me? In College, I was a big time multi-tasker. I had this illusion that I’m getting more things done with my time. I’ve heard about how my classmates glorify multi-tasking because it works for them. It took me a while to realize that it does not work for me. I’m spending a lot of time working but not much is getting done. I didn’t really finish a task, all I have is three unfinished task with only about 25% done each. I realized then that I have to say goodbye to multi-tasking. After acknowledging that multi-tasking does not help me, I tried to focus on one task and one task alone. Still, even with my attempts to focus, it is harder than I thought. I would find myself checking my Facebook News Feed or opening Instagram. It’s a battle I couldn’t possible win. Well, until I discovered the Pomodoro Technique. After using this technique, I became better in managing a single task. During that 25 minutes of work, I get less distracted and just focus on finishing that task. I no longer get tempted to open Facebook or whatever because I know that there is a time for that. After working for so long, our minds tend to get tired. No matter how much I read and reread a chapter in the textbook, I can’t seem to absorb it. Again, I’m not using that time wisely. With the pomodoro technique, there are times for break. There are times to rest our minds, relax it so that it will be ready for more information. And when I’ve gotten my rest, I’m ready for work once again. Over-all, I love the Pomodoro Technique and it has changed my life for the better. I just want to note, however, that we are all different people and what works for me might not work for you. 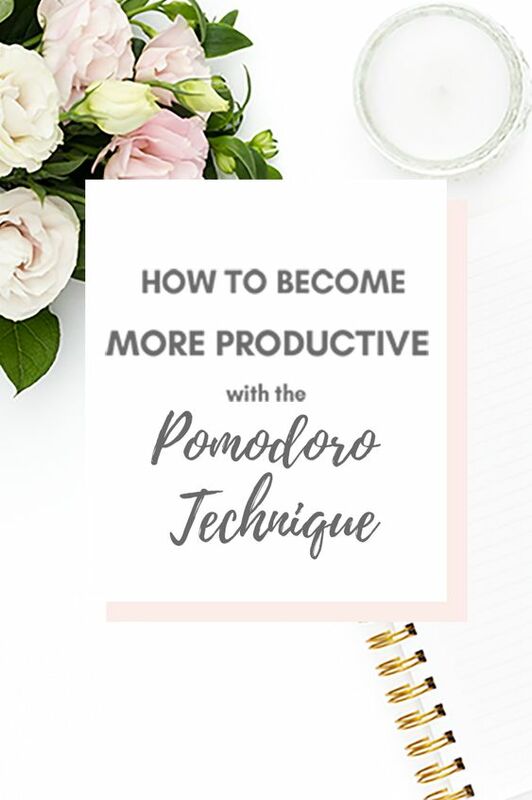 If Pomodoro Technique is still not the one for you, don’t fret for the right productivity hack will come along soon enough. Either way, it’s important that we are aware that time is gold.